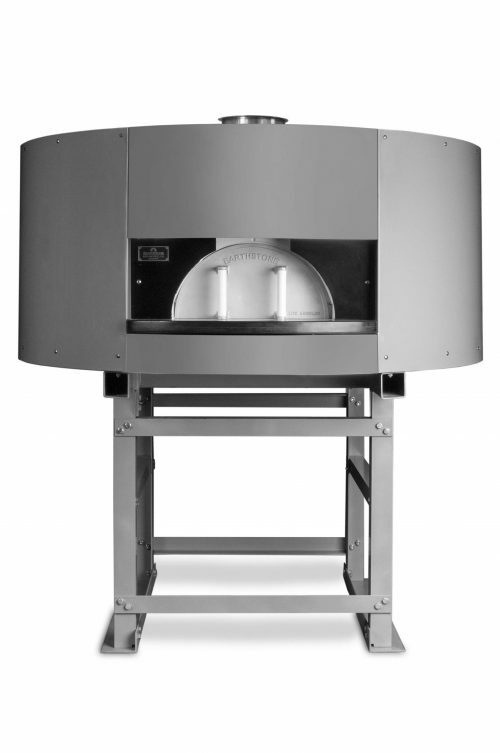 The 90-DUE-PAG’ is a medium capacity oven that features an oval shaped cast body which is ideal for spaces that have limited depth. 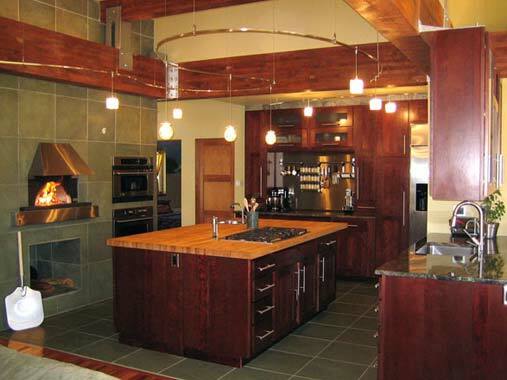 A curved and domed oval interior allows for optimal convection unlike rectangular or square shaped interiors. 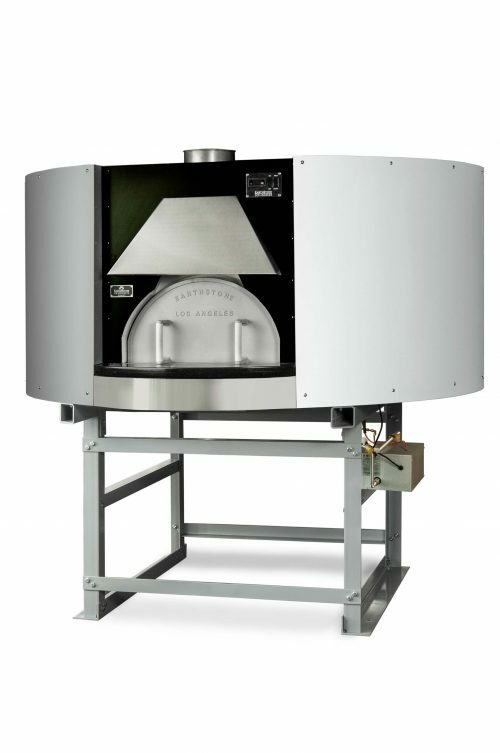 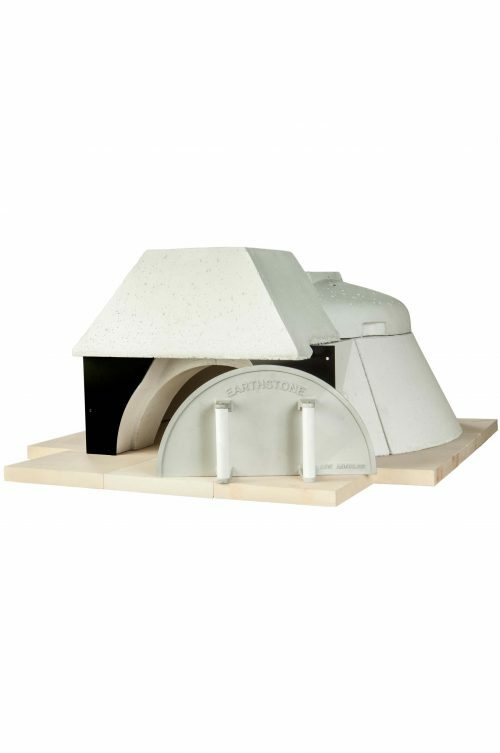 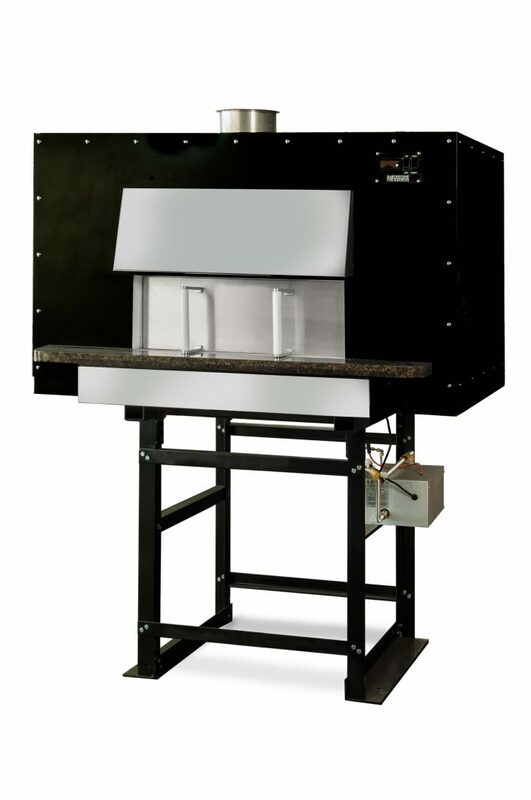 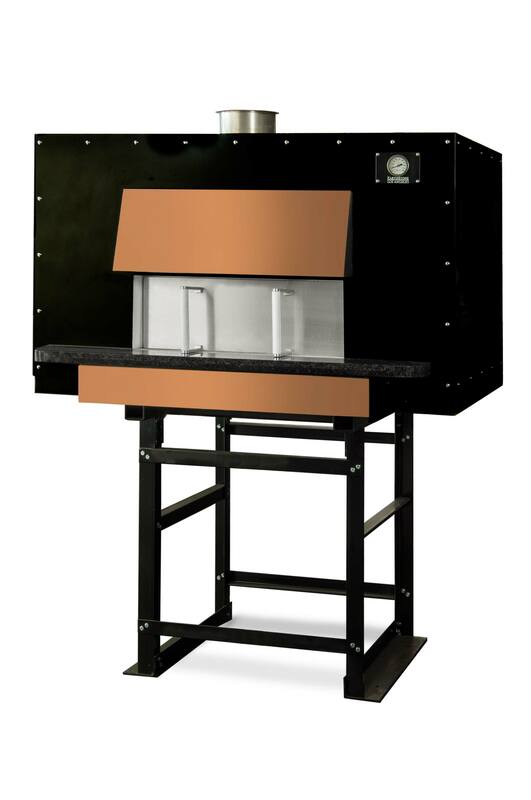 The Model 90-DUE-PAG’ features a cast body 4 to 6 inches thick using a dense high temperature refractory material with 80% alumina content and additional special additives which stop deterioration from acids emitted by wood combustion. 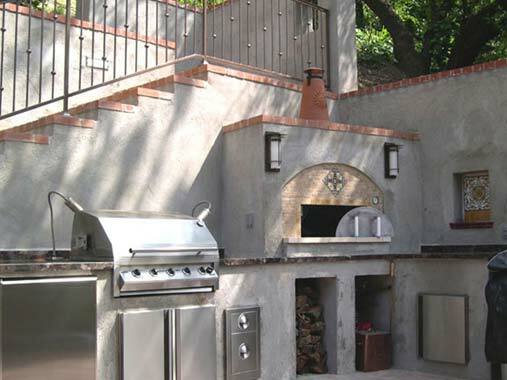 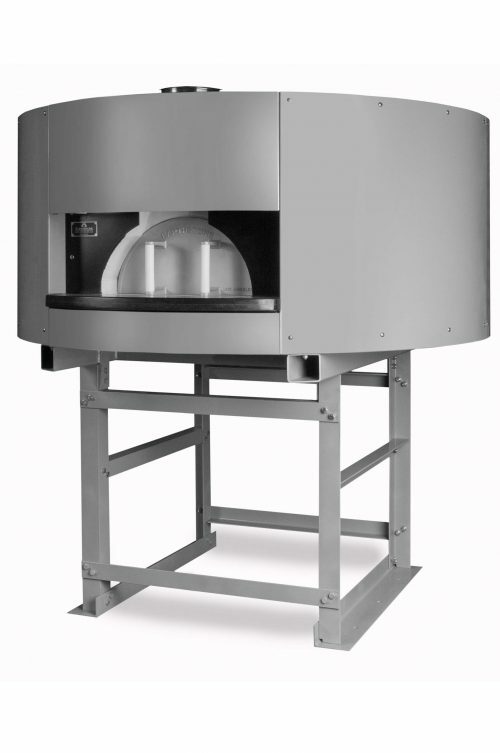 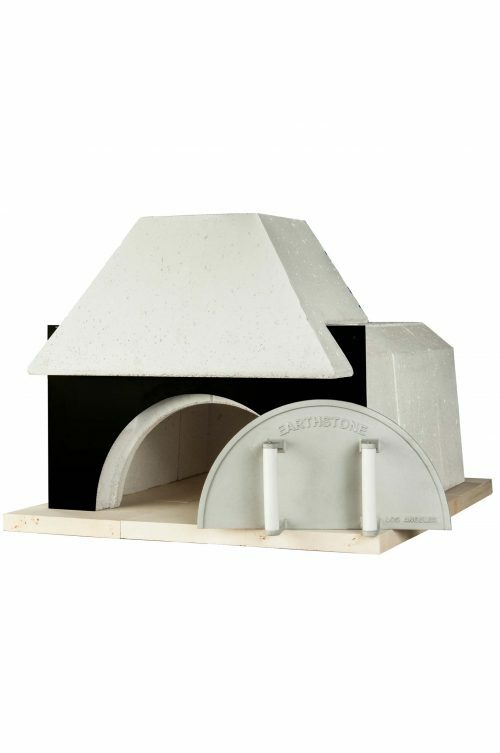 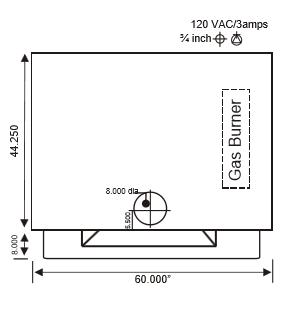 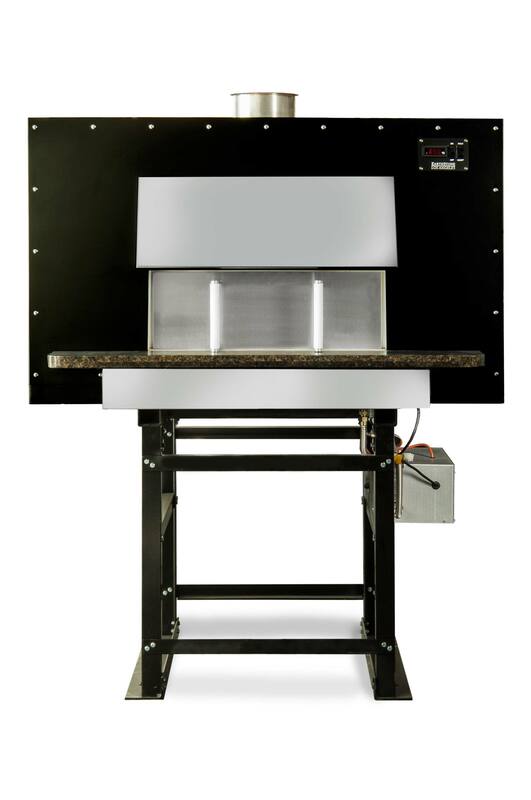 Between the cast oven body and steel outer enclosure is a hardened lightweight insulation mixture (4 to 20 inches thick), which forms a secondary molded body. 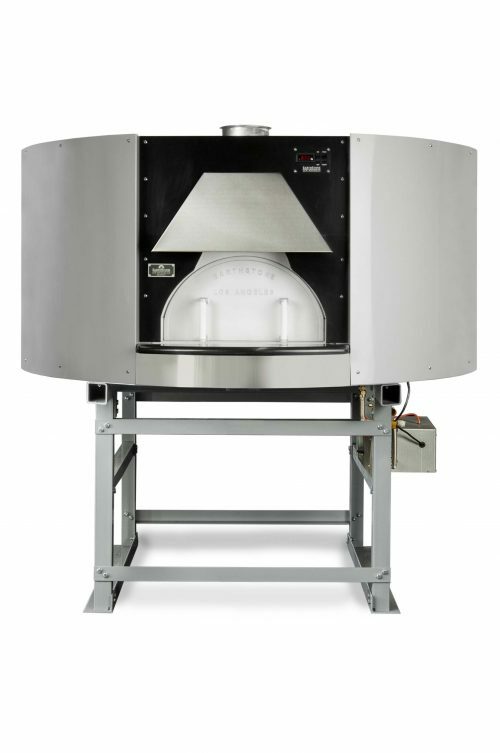 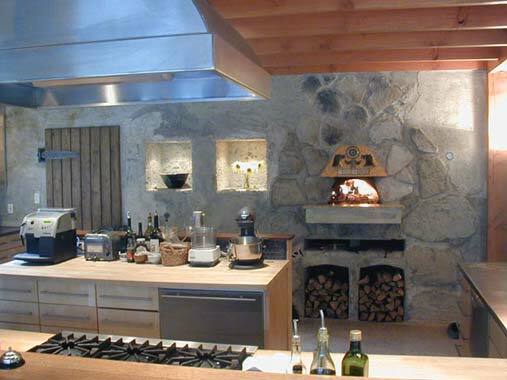 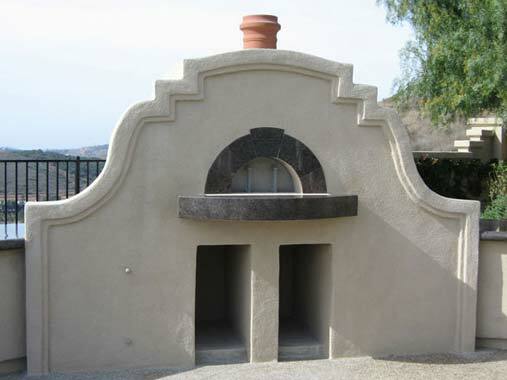 Our thick cast refractory body and an outer insulation shell maximizes the thermal mass (heat storage) capacity of the oven which allows for an extremely efficient oven that cooks at even non fluctuating temperatures. 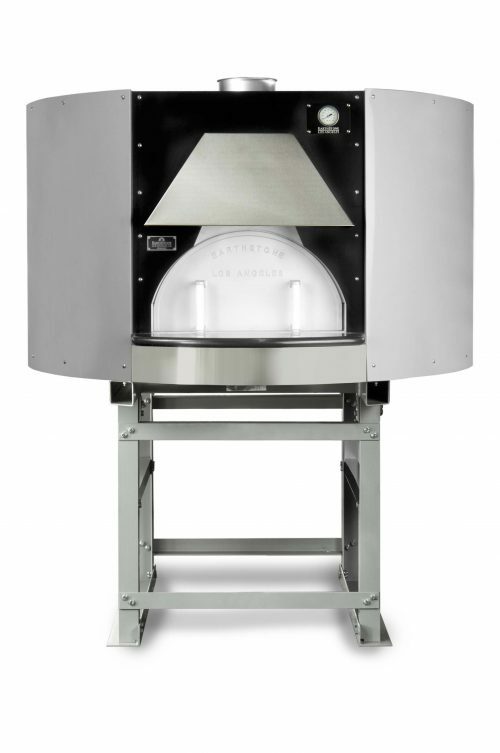 A temperature probe is placed 3 ½” into the dome of the oven instead of under the cooking floor to avoid temperature readout fluctuations caused by food items. 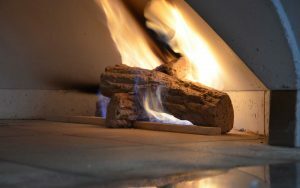 The hearth floor tiles, “Pierre de Boulanger” (Bakers Tiles), which are used in industrial bread baking ovens all across Europe, are refractory material pressed at 8,500 p.s.i. 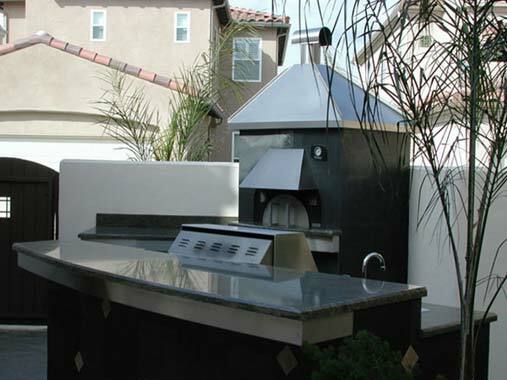 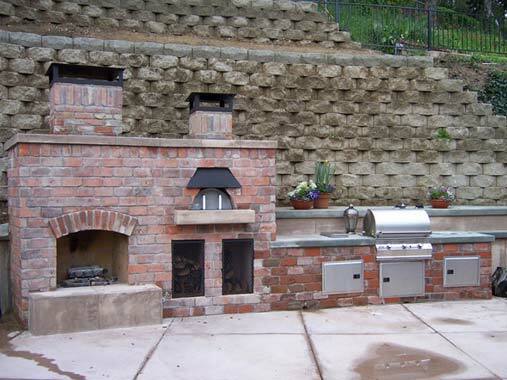 and kiln fired at 2,800 degrees which ceramitizes the material to create a hard and extremely durable tile. 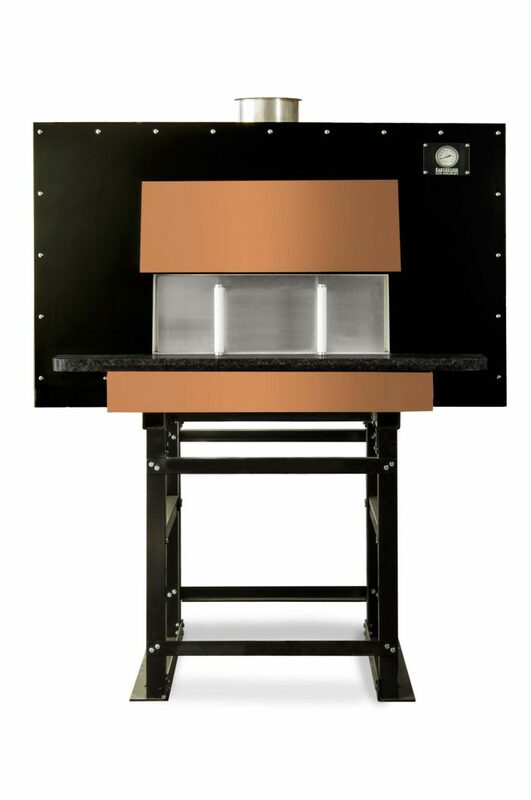 Both the body pieces and floor tiles are cast and assembled individually which allows for continuous joints throughout the entire oven. 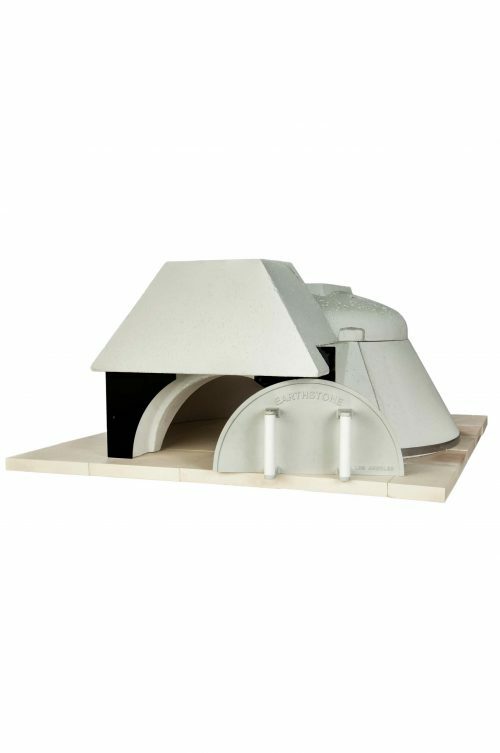 This greatly reduces the possibility of stress cracks due to normal heat expansion and contraction. 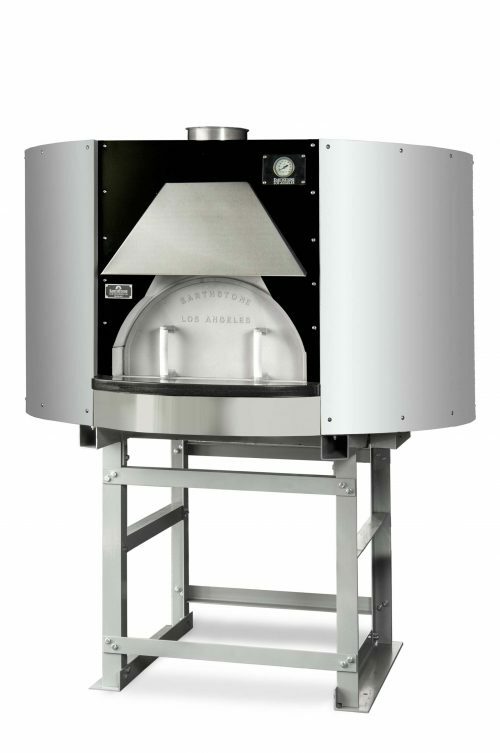 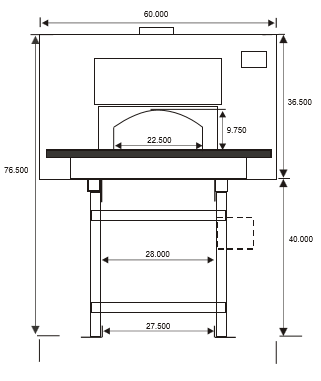 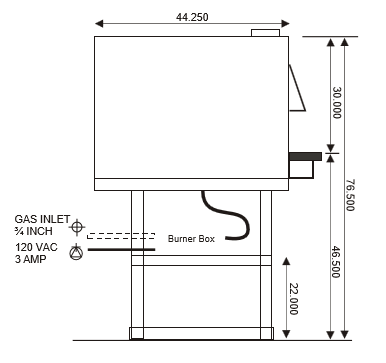 In addition this allows the ovens to be serviceable which extends their usable life.